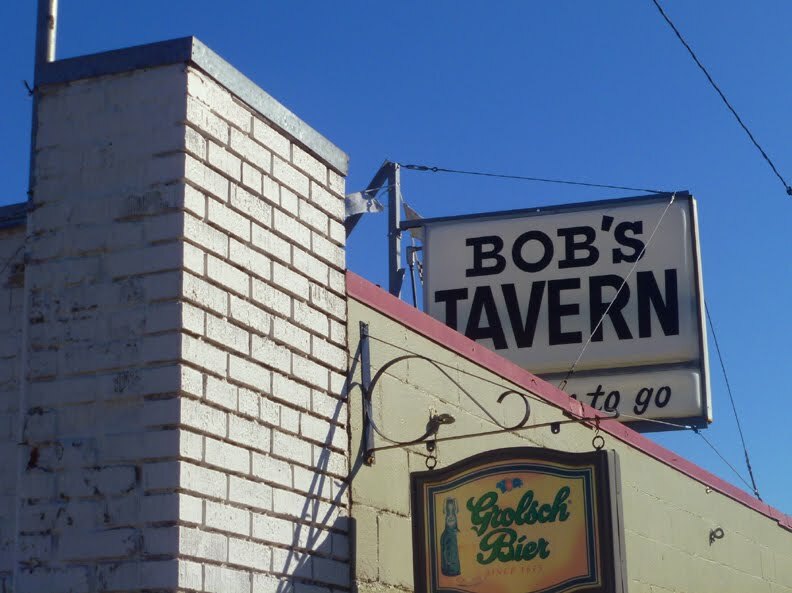 Bob's Tavern is a classic old dive, apparently established in 1942. Contrary to popular opinion, the bartender Dottie has not been there even longer, though she has been there for 30 years, and at 71, can still do a crackerjack job trading friendly barbs with the customers. And it has not been "Bob's" for all of that time -- e.g. the 1960 city guide lists "George's Tavern" at this location. 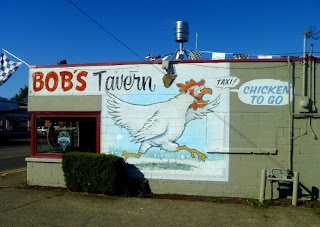 In addition to Dottie, the bar interior is dominated by a semi-circular bar, and the outside by a large painting of a chicken. The drinks are pretty standard, and the patrons pleasant and humorous,often with a card game going on in the afternoon.